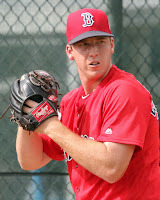 SoxProspects.com Director of Scouting, Ian Cundall, wrote his latest Scouting Scratch, catching up on the progress of left-handers Henry Owens and Brian Johnson. Cundall notes that while Owens has the better stuff of the two, his control issues could continue to be a problem. He notes Johnson could end up being the more dependable pitcher once he is fully recovered from his toe injury he suffered last season. Alex Speier of the Boston Globe sat down with Michael Chavis to discuss his hot start with Greenville. Chavis talked about his offseason work regimen, losing 18 pounds in the process. After struggling last season, the 20-year-old Georgian is off to a torrid .356/.415/.576 start. As had been rumored since his demotion, Blake Swihart officially started working out in the outfield. Swihart was quoted saying he would do "anything I can do to get back to the big leagues." With several top prospects off to a hot start for High-A Salem, the Portland Press Herald is anticipating those prospects - namely Yoan Moncada, Andrew Benintendi and Rafael Devers - to soon be playing for the Double-A Sea Dogs. Aaron McFarling of the Roanoke Times spoke with Andrew Benintendi, his teammates, and his coaches about the 2015 first-round draft-pick's surprisingly prodigious power, considering his small frame. 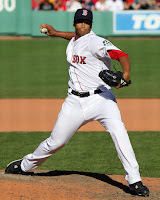 Kevin Thomas of the Portland Press Herald highlighted the hot start on the mound for Sea Dogs pitcher Teddy Stankiewicz. Scott Lauber of ESPN.com proclaimed that Xander Bogaerts, along with Houston's Carlos Correa, is at the forefront of a "shortstop renaissance" reminiscent of the late 1990's. Eric Karabell of ESPN Insider wrote that Sam Travis is a prospect to watch. Karabell wrote that Travis has a "sweet, right-handed swing" and even hinted at being the heir to David Ortiz. Baseball Prospectus provided some brief analysis on several Sox prospects, including Brian Johnson, Nick Longhi, Luis Ysla, Jared Cosart, and Roniel Raudes. The Roanoke Times spoke at length with Red Sox General Manager Dave Dombrowski when he came to watch some of his team's top prospects in High-A Salem. He discussed his initial impressions of the Boston farm system from when he first took the job in August and how unique it is for big league general managers to visit farm teams. The Greenville News reported that the city of Greenville is considering renovating Fluor Field, the home of the Drive. Baseball America gushed about former Red Sox top prospects Manuel Margot and Javier Guerra and how the Padres are excited to have both of them. The 2014 eighth-round draft pick has been off to a solid start in his first action at High-A. In 10 games, Moore is impressing behind the plate in Salem, hitting .286/.324/.514. Moore was originally drafted as an outfielder and converted to catcher after being drafted. Stankiewicz (pictured) continued his torrid beginning to 2016 with another brilliant start for the Sea Dogs. The tall righty had been pitching to contact in his first two full seasons of pro ball, surrendering more than 140 hits in both 2014 and 2015. Time will tell if the 2013 second-round draft pick can continue overachieving.